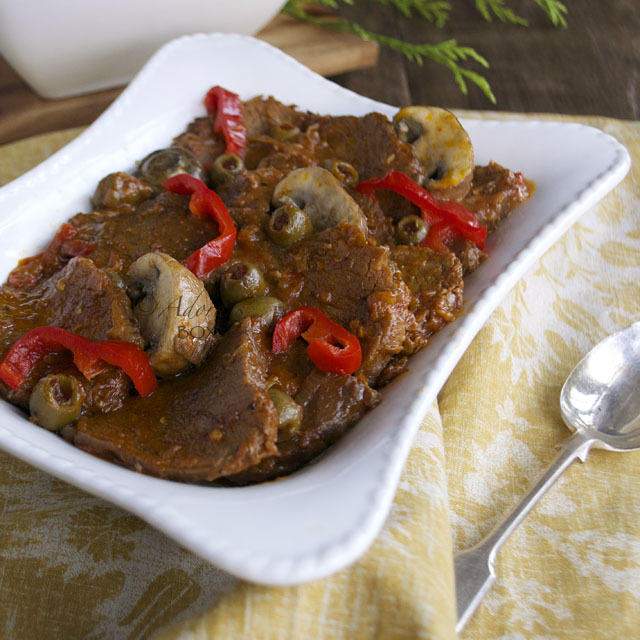 Pork hamonado is one of the classic Filipino dishes served at celebrations. 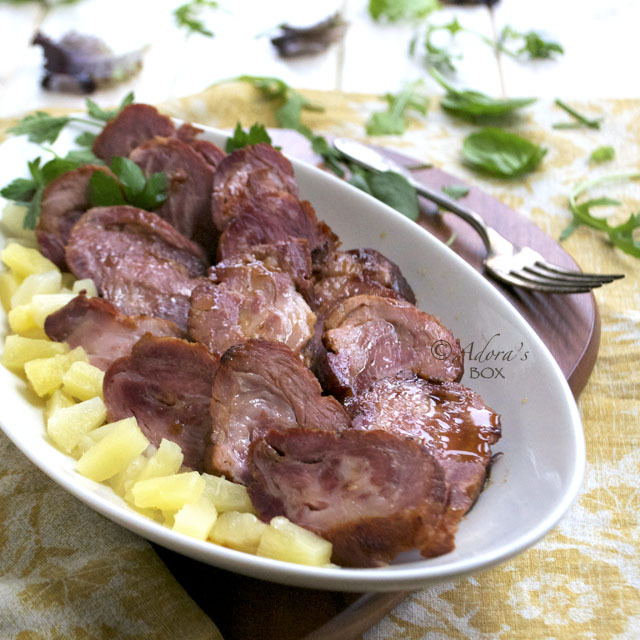 It is ever present on the menu, the same way as ham is featured at Western celebrations. 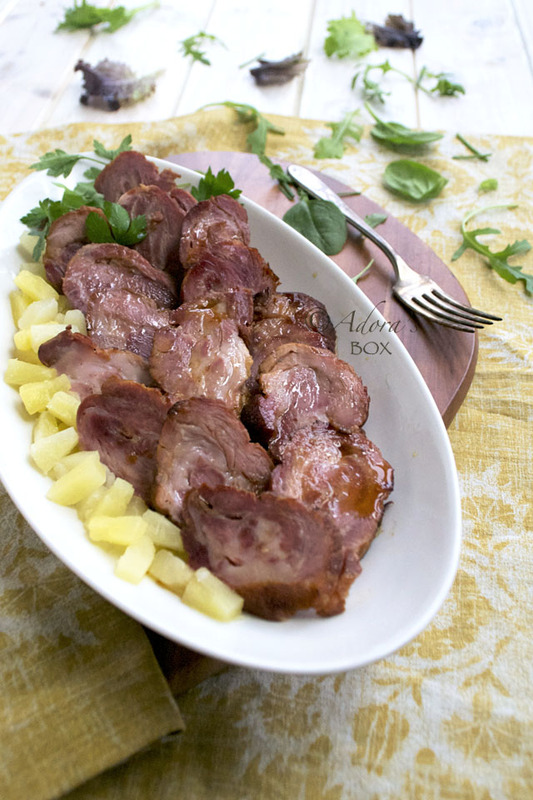 It is a dish of rolled up cured pork (tocino) slices "cooked like ham" (hamonado) in pineapple juice spiked with aromatic spices and sweetened with brown sugar. I used a curing mix for this because the cured pork (called tocino) is not available here. 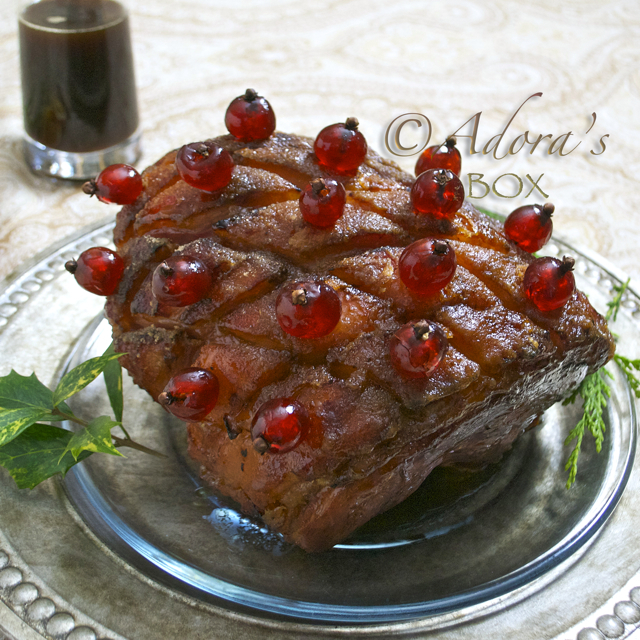 Thick gammon or uncooked ham slices may be cooked this way as well. 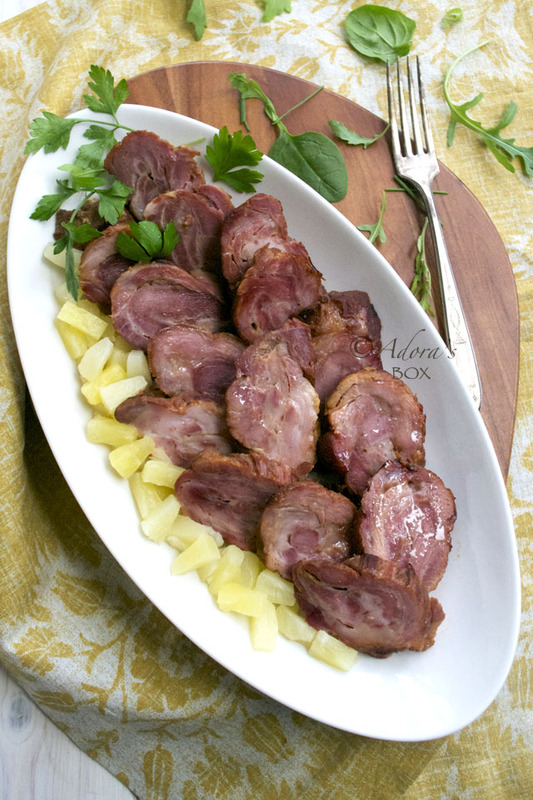 The cooked pork rolls are sliced before serving and drizzled with the sauce. It is favoured as a party dish because it presents well and has the popular sweet and sour taste. Unlike ham, it is served with steamed rice. Mix the tocino mix with 1/2 c. of water and use as marinade for the pork slices. Leave to cure overnight. The same quantity of ready made tocino (cured pork) may be used instead of the pork. 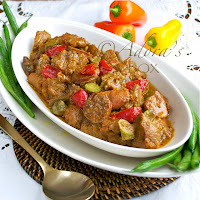 You can also make pork tocino using this recipe. Pre-heat the oven to 350° F/180° C.
Take the pork slices out of the curing liquid. 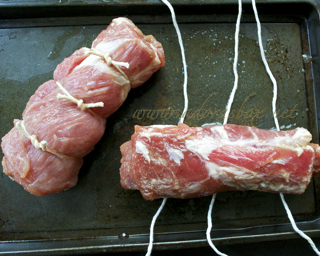 Roll the pork slices tightly like a jelly roll and tie with string. Caramelize the sugar in a dry pan. When the sugar is all melted and browned, add the pork rolls. Turn rolls around to sear and brown in the caramel. Add the rest of the ingredients and bring to a boil. Stir the sauce to melt the sugar. Transfer to a baking dish and cover tightly with foil. Bake for about 1 hour and ten minutes or until fork tender. Brush with honey and let rest before slicing. How much honey should I put?